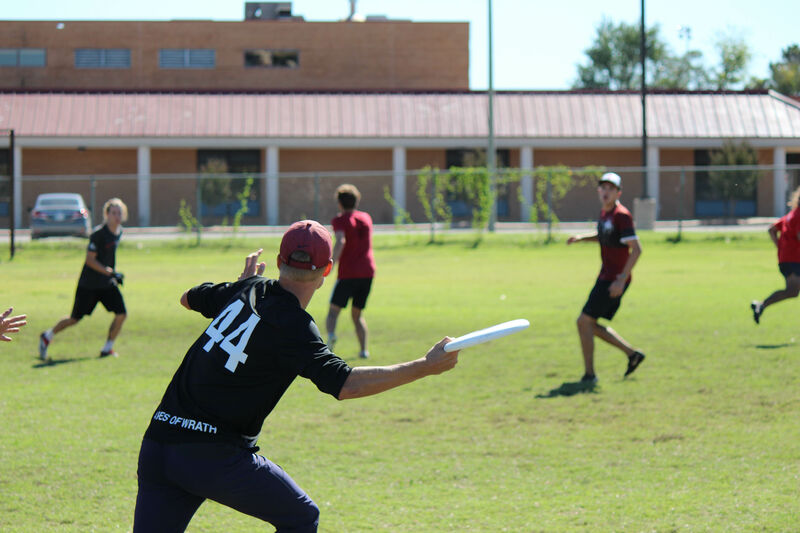 The OU Men's Ultimate Frisbee Club, also known as the "Apes of Wrath", gives young student athletes a chance to compete in collegiate-level ultimate frisbee tournaments while they pursue their higher education. 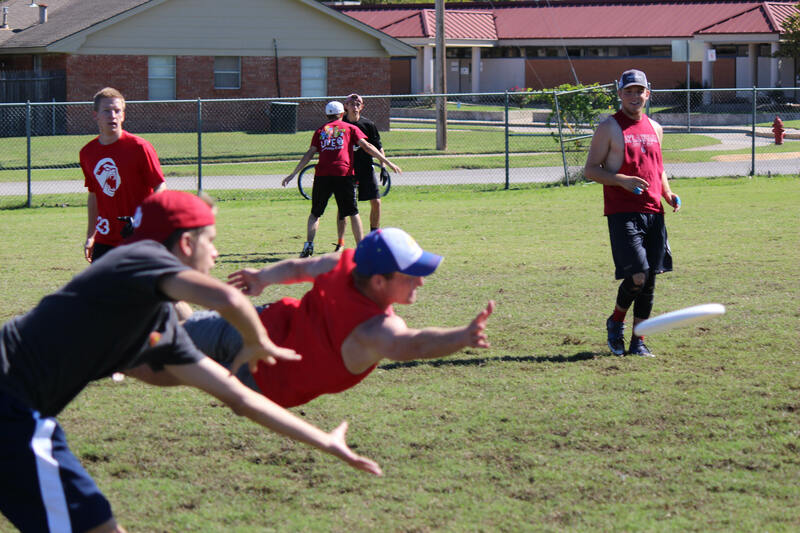 Oklahoma Ultimate is classified as a D-1 Club Team, and our season consists of many tournaments across the country to compete in a non-contact sport where a football is traded for a frisbee. Our team name, an obvious reference to "The Grapes of Wrath" by John Steinbeck, serves two purposes: One, it subtly references how our team travels from Oklahoma to other states in order to represent our beloved University. Two, it gives our team a great mascot! Our team attracts players from all over the country (and a few international students) and almost half the team are also National Merit Scholars! This unique and diverse blend of student athletes work all year long, training in the summer and winter, to compete in regional tournaments in the Ozarks to win a spot in the annual national tournament. 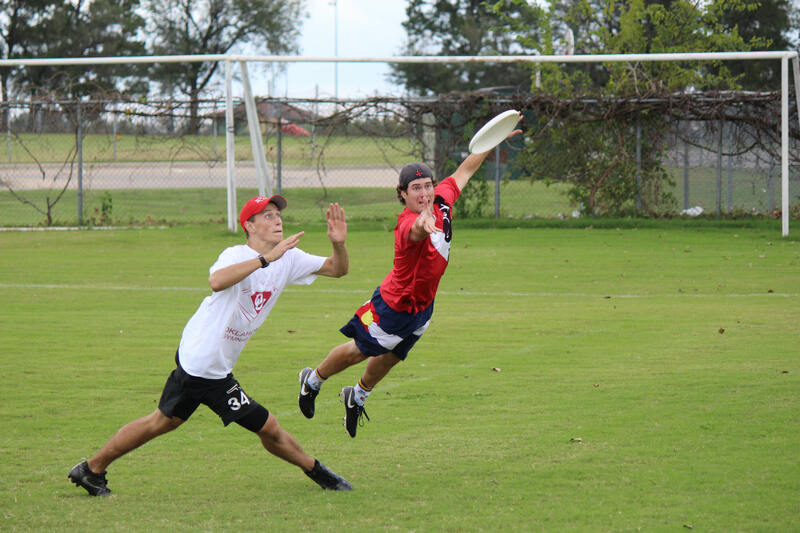 If you are interested in playing Ultimate Frisbee, check out Oklahoma Ultimate online (http://www.oklahomaultimate.com) or our Facebook account (https://www.facebook.com/OklahomaUltimate/) and read about Fall League and how you can play Ultimate in the fall semester with fellow OU students and members of the Norman/OKC community! Our goal is to raise a portion of the funds that it takes for us to take trips to all of our tournaments except the one we host here in Norman, which we lovingly call "Just Plain Nasty". The campaign goal is $3,000, and we sincerely appreciate your support! This campaign will mainly support travel expenses and tournament fees. Your support will take the financial burden off of our team members and help them focus on what really matters-playing Ultimate! Thank you so much for your support! Please help share our campaign through your social media and with your friends and family. We appreciate our OU Ultimate Frisbee family! Boomer Sooner! A $5 donation will help buy field cones for the team to use in practices. A $20 donation will help buy a pair discs for players to use in practice and at tournaments. This piece of plastic (and your donation) will go a long way! A $50 donation will help fund our carpool driving as we travel to tournaments across the country. We travel as far as Florida and California in the Fall Semester, and carpooling is often the way to get there! A $100 donation will help our team get a hotel room for one night at one of our tournaments. A $500 donation will fund the cost of a whole tournament for our team. Ultimate Frisbee tournaments are hosted by a rival university, and a tournament fee is required to enter the competition!